An Anonymous Donor gave $250 because 15 donors made a gift in 26 days. Colorado School of Mines has a longstanding reputation of producing engineers who go above and beyond the expectations of engineering and who ultimately improve the communities around them. Mines Without Borders (MWB) is the vessel by which these prospective engineers are able to contribute to underdeveloped and overlooked communities around the world. As a student chapter, MWB works directly with Arlington Academy of Hope and Engineers Without Borders to pursue collaborative and sustainable community-driven projects that have a lasting impact on underrepresented communities. 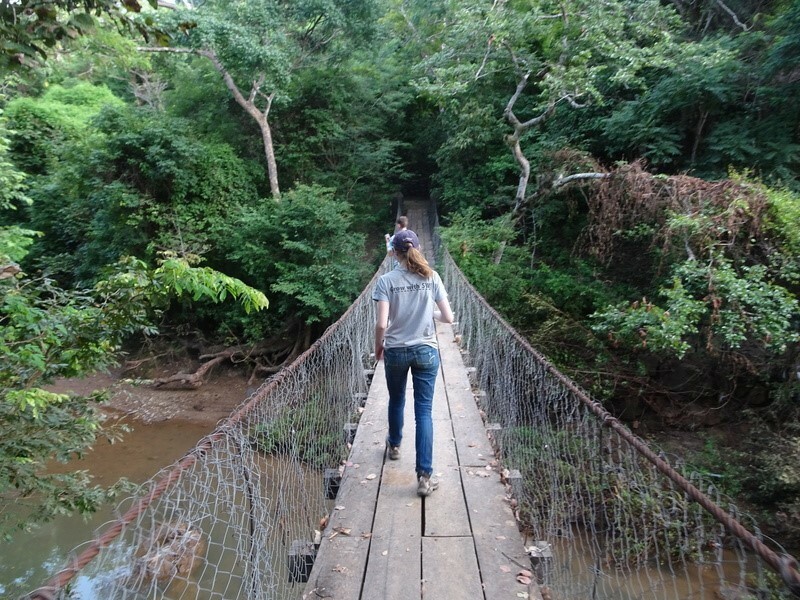 Evaluating the footbridge in Santa Elena that was built in 2014. Currently, MWB members are working alongside communities in Los Gomez, Nicaragua and Bududa, Uganda to implement two infrastructure projects. These projects are founded on the principles of sustainable development and emphasize community ownership and empowerment. Projects are student-driven, which allow those involved to develop their skills in problem-solving, sustainable design and community engagement. 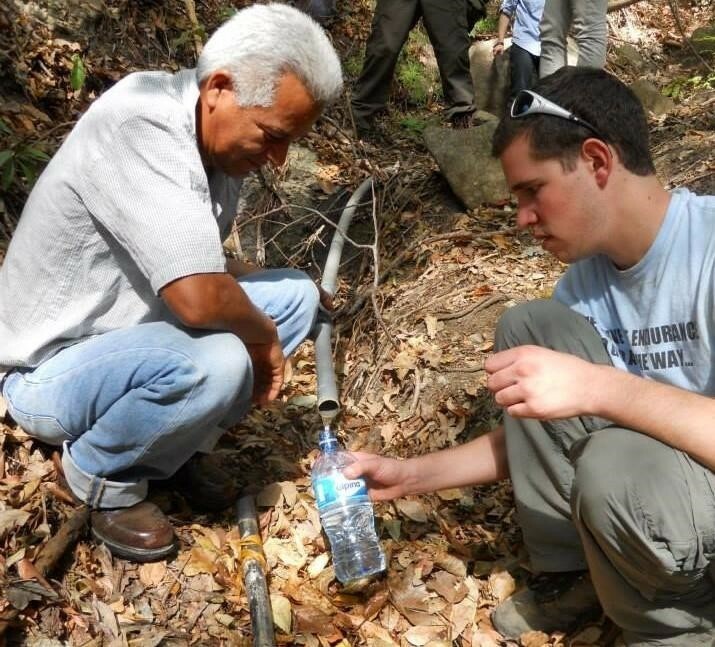 MWB is working with the community of Los Gomez, Nicaragua to improve access to clean water. Despite efforts by local people to improve the community water infrastructure, there is not enough water available during the dry season to meet community demand. Mines students have already worked with the community to drill a well and are now planning to implement a distribution system that will provide each household with access to clean water. The team's goal is to construct the system in 2019. In additional to a capital contribution from the community, MWB needs to raise approximately $32,000 for materials and supplies. 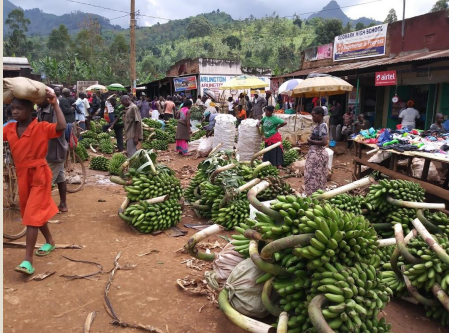 MWB is working with the community of Bumwalukani in the Budada district of Uganda to improve the safety and economy of the area. Despite efforts by local people to improve community housing and lighting, there is still a substantial lack of developed infrastructure to meet community needs. Mines students are working with the people of Bumwalukani to construct solar-powered street lighting and to install concrete flooring in homes. The solar-powered lights will ensure a safer environment for residents, while the concrete flooring will provide higher quality housing. With your help, students could travel to begin implementation of this project as soon as May 2019. In addition to a capital contribution from the community, MWB needs to raise approximately $48,000 for materials and supplies. To finance the cost of the projects in Nicaragua and Uganda, our project teams rely on contributions from compassionate individuals like you. Since all members are volunteers, the entirety of each contribution goes toward the construction of the community projects. The money raised from this campaign will go towards the materials needed for each project, this includes pipes, faucets, solar powered street lighting lamps, concrete, and construction equipment. As engineers, we have the opportunity and ability to give back to communities that are less fortunate than ours. Your contributions will help facilitate this vision into something that is long-lasting, forward-thinking and concrete. If you have questions or want to learn more about our chapter and projects, please visit our website here or contact us directly at mineswithoutborders@gmail.com.